Monterey Golf Course. Golf Monterey Palm Desert. Monterey golf course details and information about Monterey Country Club in Palm Desert, California. 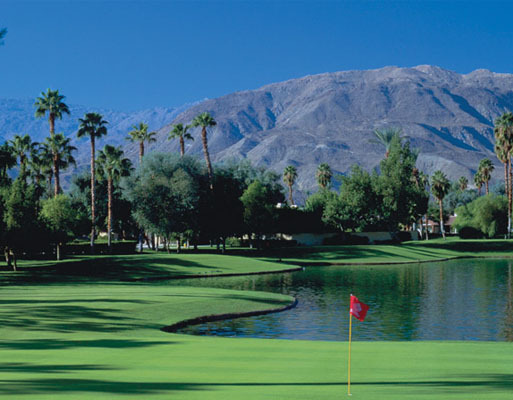 Palm Desert Monterey Country Club is located at the base of the Santa Rosa Mountains. It is a luxurious, private golf club experience. The Monterey golf courses include three, 9-hole layouts totalling 27 holes of golf. This club is great for relaxing day-time play or for challenging tournaments. It is in a beautiful setting surrounded by nature and sun. Monterey country club also offers other amenities as well. Enjoy other sports such as tennis courts, a pool, and a fitness center. There is also a banquet hall, all as part of the private membership.